These images were released recently after being processed by members of the public (we had another batch last week). 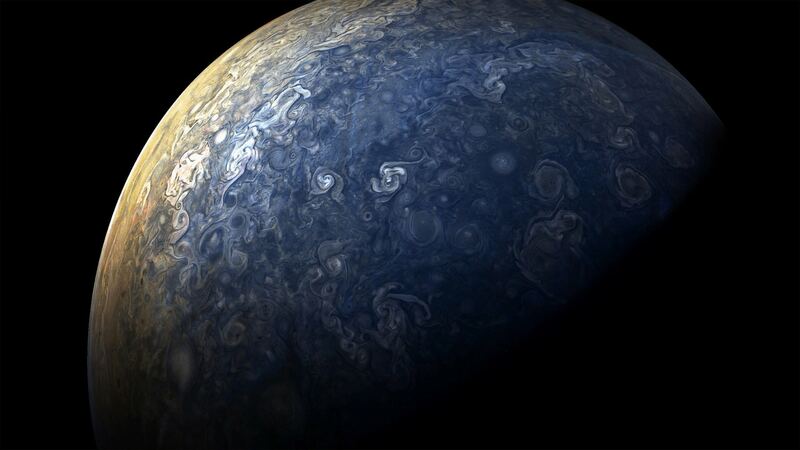 NASA puts raw images from Juno’s JunoCam online, and people can then improve them. 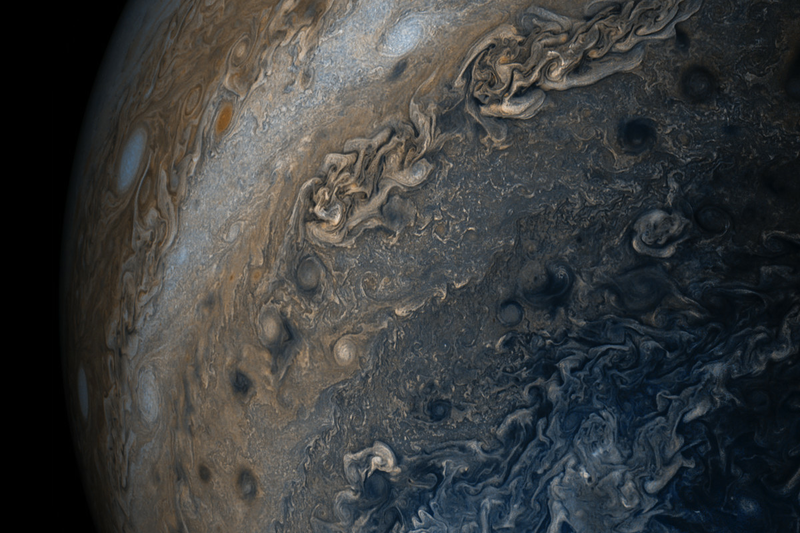 Most of these come from Juno’s latest flyby of the gas giant, its seventh close science flyby, which took place on Friday, September 1. 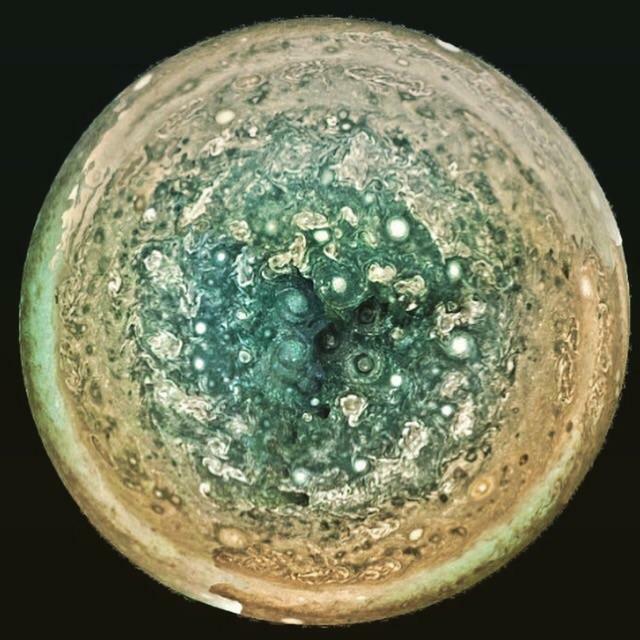 One spacecraft is hogging all the headlines this week, but let’s not forget about the wonderful Juno mission over at Jupiter. It’s continuing to study this gas giant until at least mid of 2018, and we’ve just been treated to some lovely new images from it. Juno orbits every 53 days, swinging out far from the gas giant to escape its damaging radiation before sweeping back in to collect data and snap images. The spacecraft came within 3,500 kilometers (2,200 miles) of the cloud tops of the planet during this pass. And close flybys like this are already reaping huge scientific reward; just the other day we discovered that Jupiter’s aurora is wildly different to Earth’s. Juno’s primary mission is scheduled to end in July 2018, although the mission could be extended after that if the mission is still in good health. 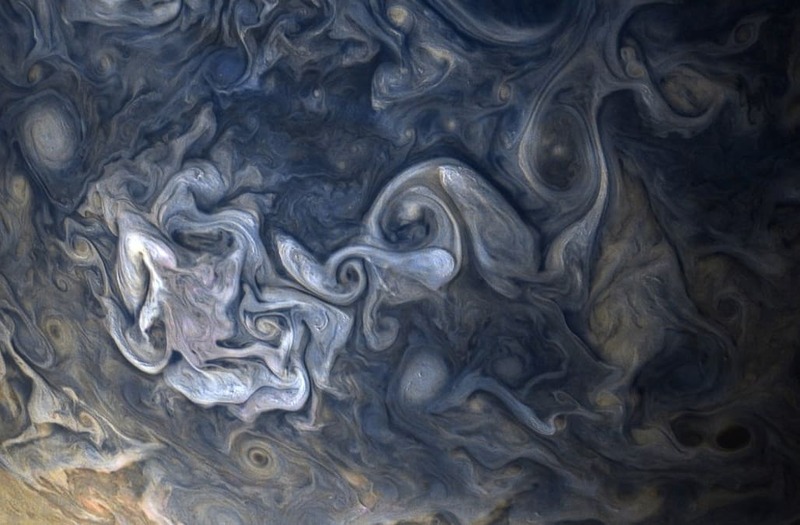 These images reveal an entirely new look at the gorgeous storms stretching across the gas giant. In the set of images above, we can even see what seems to be a large storm cutting into the side of the planet, creating a rather lovely pattern. 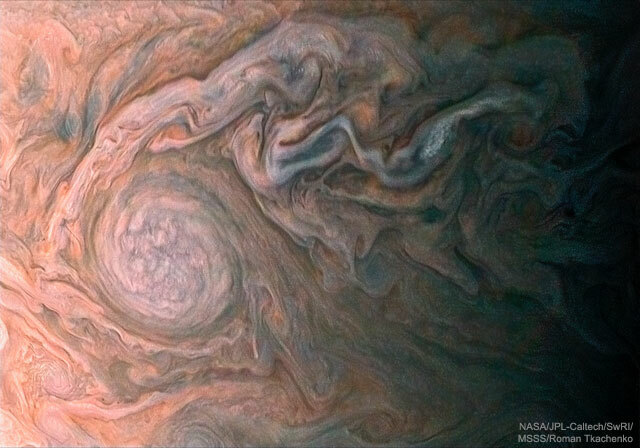 We’re also treated to some rather amazing close-ups of the clouds on Jupiter. 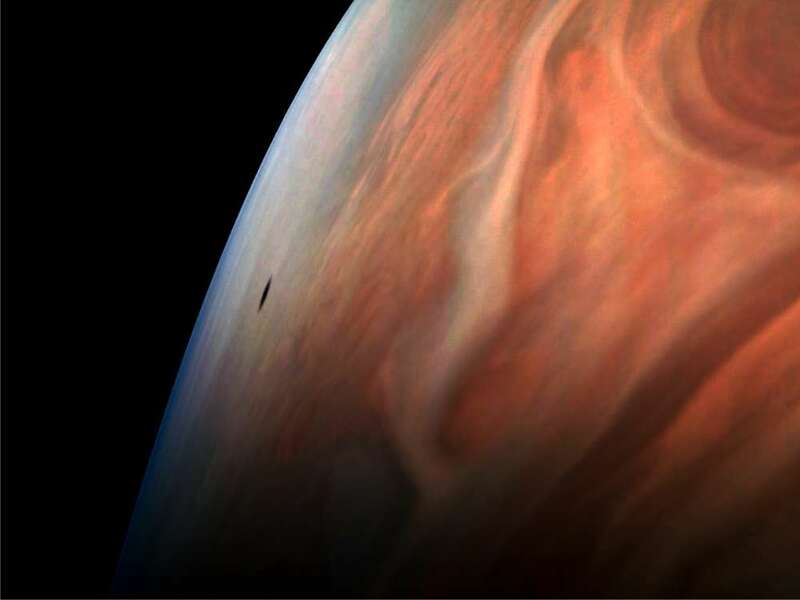 Two of the images below also show a shadow on Jupiter caused by one of its moons, although we're not sure which one. 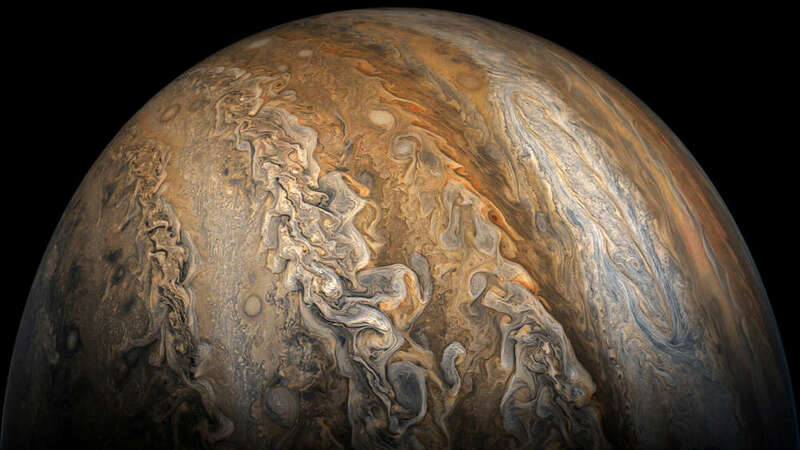 There’s also a glimpse of hurricanes making their way across the planet and, as a super bonus, there’s an amazing video stitching together images as Juno flew over Jupiter. Enjoy.